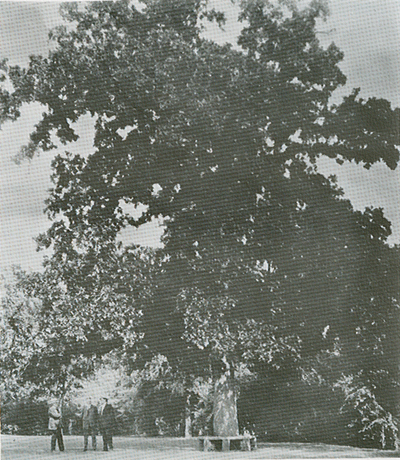 The story of the founding of Tulsa isn't complete without a mention of the Council Oak Tree and the story of the Council Oak as related by Chief Perryman. Today the Council Oak Tree and its site is a designated National Historical Site. The tree was large in 1836 when the Creek Indians arrived in what is now Tulsa and the old tree receives the best of care, but as with all things, sooner or later, the tree will die. To preserve this part of Tulsa's history cuttings have been taken from the old tree and are being grow so that when the old tree finally dies its replacement will be a part of the original tree and the Council Oak will live on.